We had an awesome day in kindergarten today! 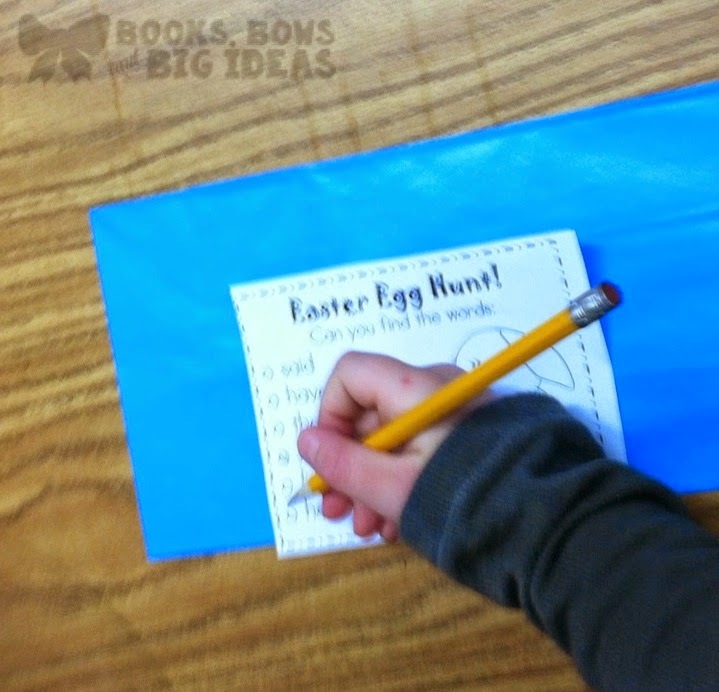 Along with our Easter baskets making and our Easter party, we had an egg hunt! 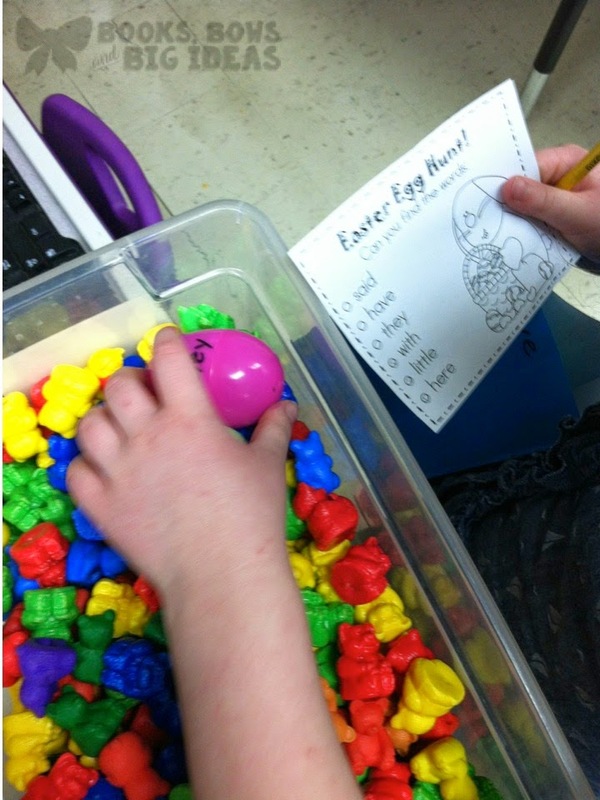 We went into school this morning with no plans to have an Easter egg hunt and ended up having a a really fun time. 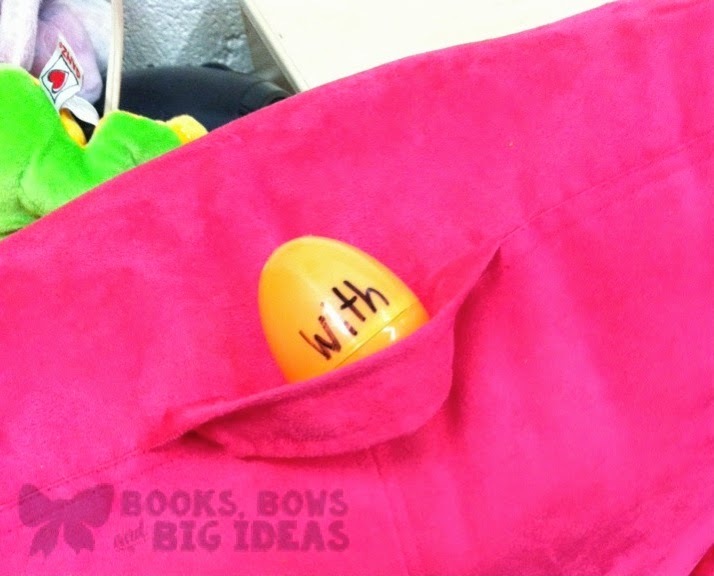 We bought a package of plastic eggs to put into the kids' Easter baskets and when the kids saw them this morning, they were all asking if we were having an Easter egg hunt and got SO excited. We thought it might be fun. Unfortunately we only had enough eggs for each kid to get two, so we had to have a parent bring in more eggs, then we were able to have each kid get six eggs. 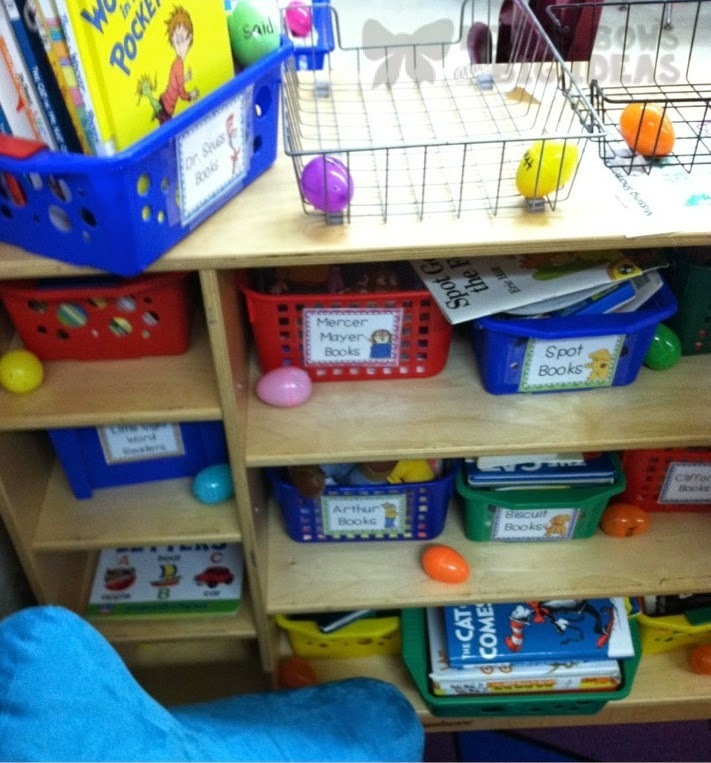 We wanted all of the kids to get the same amount of eggs and we wanted them all to get the same candy. 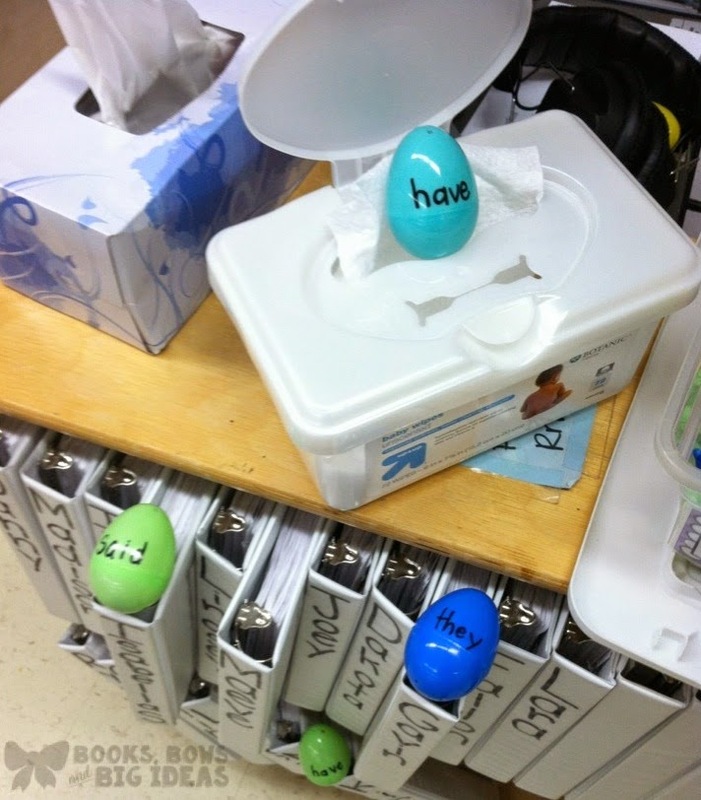 We had to label the eggs somehow, so we decided that labeling them with sight words would not only be fun but would be a great sight word activity as well. 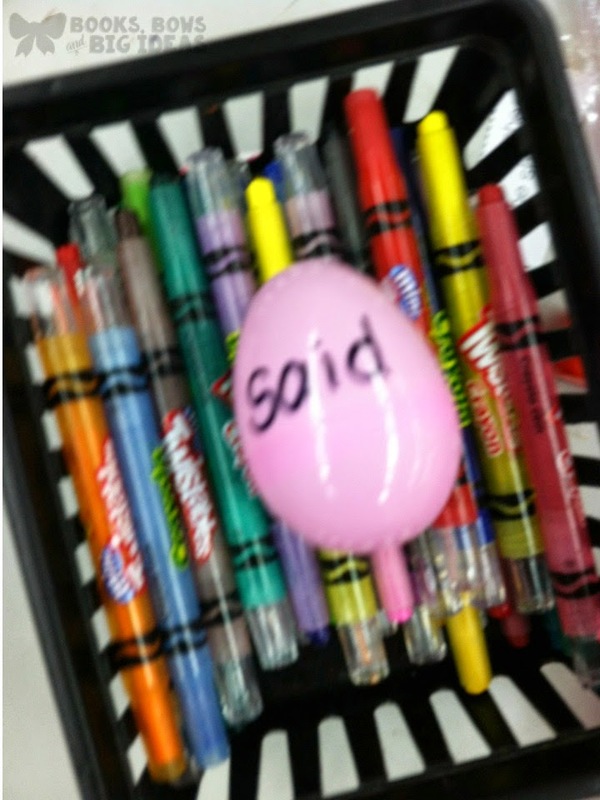 We made an egg for each kid with each word on it. 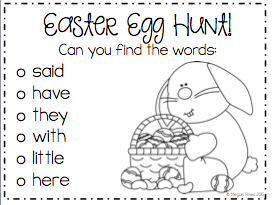 Each word had the same candy in all of the eggs with that word on it. 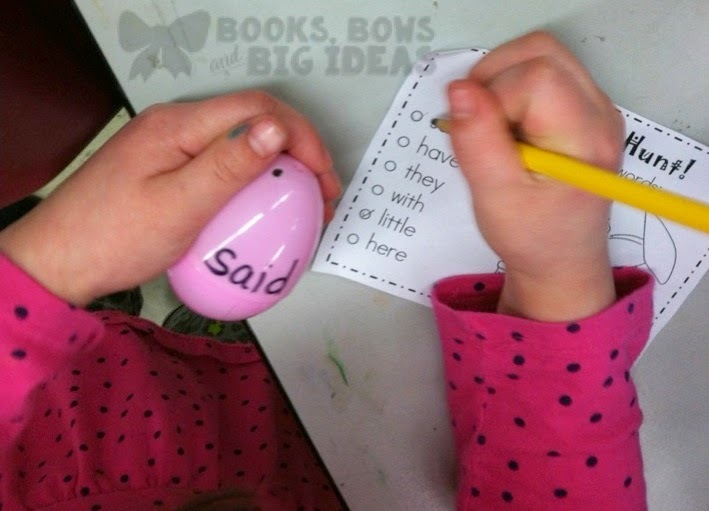 For example: all 18 eggs with the word "said" on them, had jellybeans, while all 18 eggs with the word "here" on them had chocolate eggs in them. The system worked perfectly! 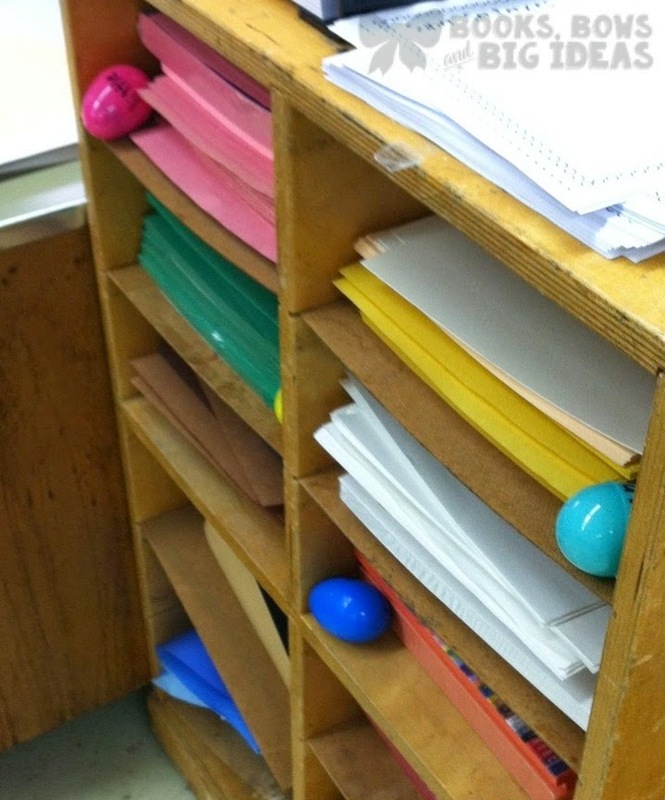 We hid them all around the room. We gave each kid a bag with their name on it and a check-off sheet. They had to check off the words as they found them. 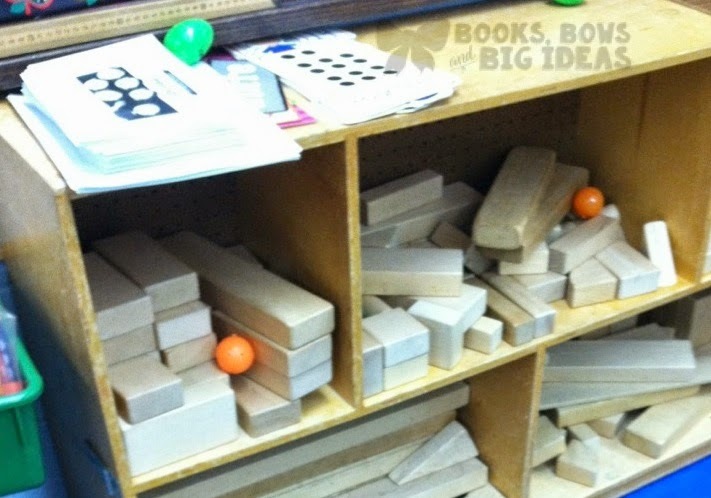 We used words that they are just learning, or that they are having a little bit of a difficult time with so that they could really get some extra practice. 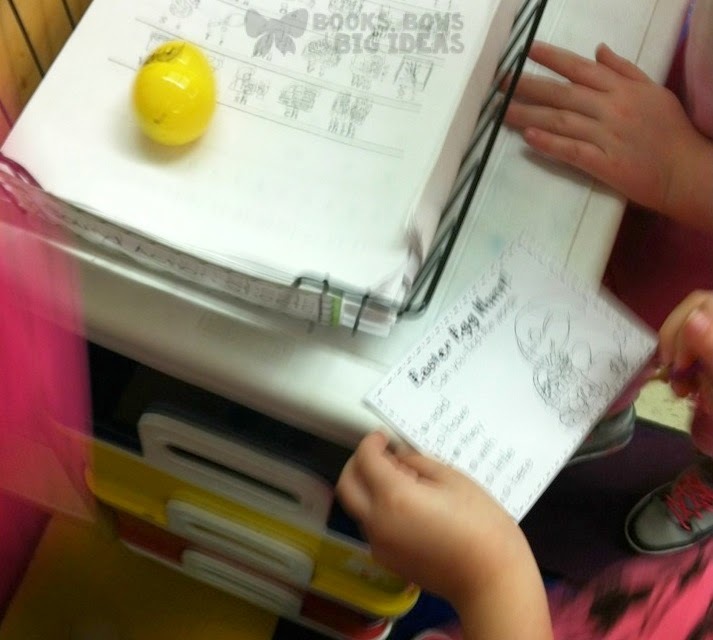 Once they found the eggs they were able to take them all home, since there was candy inside we didn't allow them to open them and check what was inside until they got home. 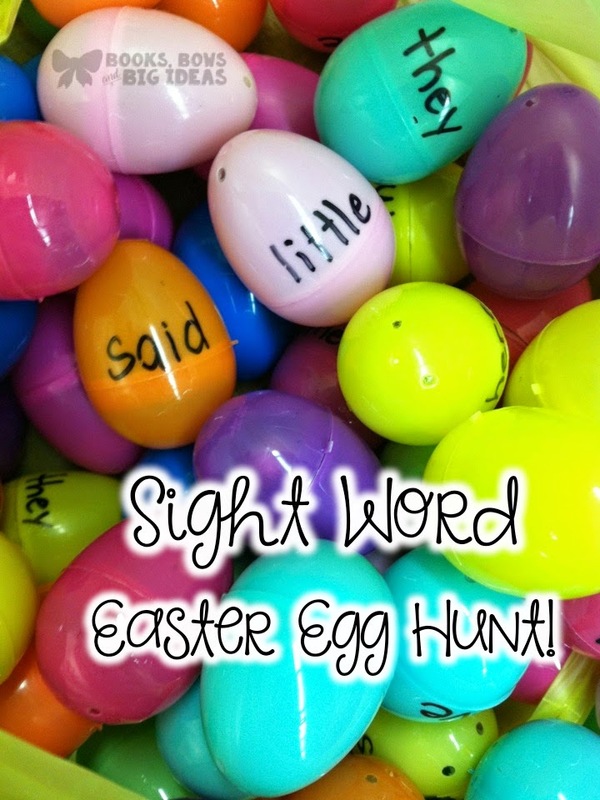 The kids were quiet and focused while they were finding the eggs, the sight words were awesome. I would definitely do this activity again! 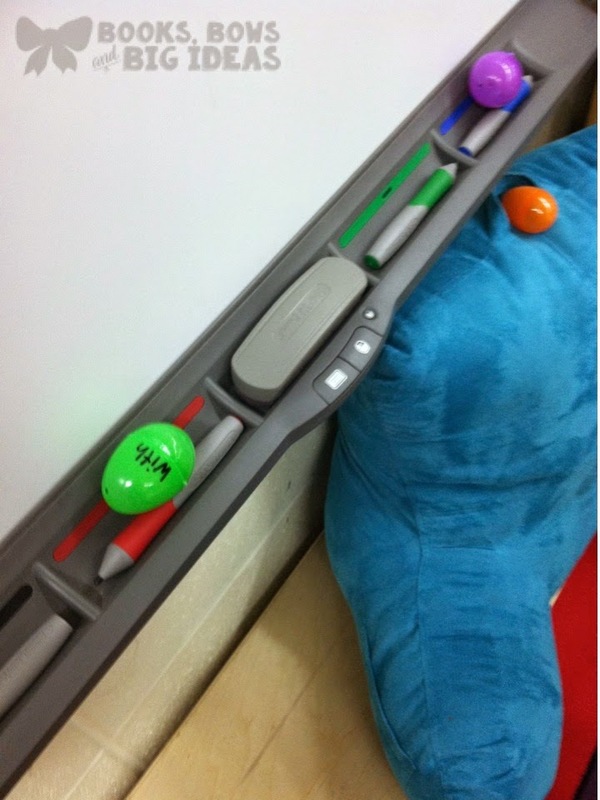 You can also do this with numbers, math problems, letters, etc.. 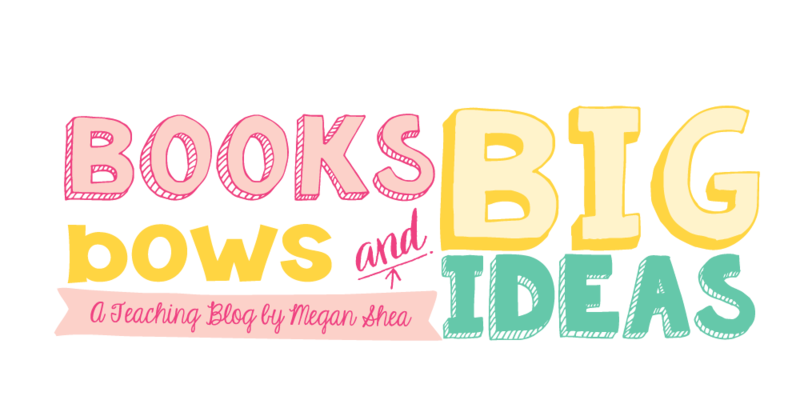 If you want the check off sheet, you can get it for free by clicking here. Thank you to mycutegraphics.com for the cute bunny graphic! There are four on a page. If you want to use the same words that I used, you can print the same sheet. Download the file from the link above and you will be able to insert your own words.